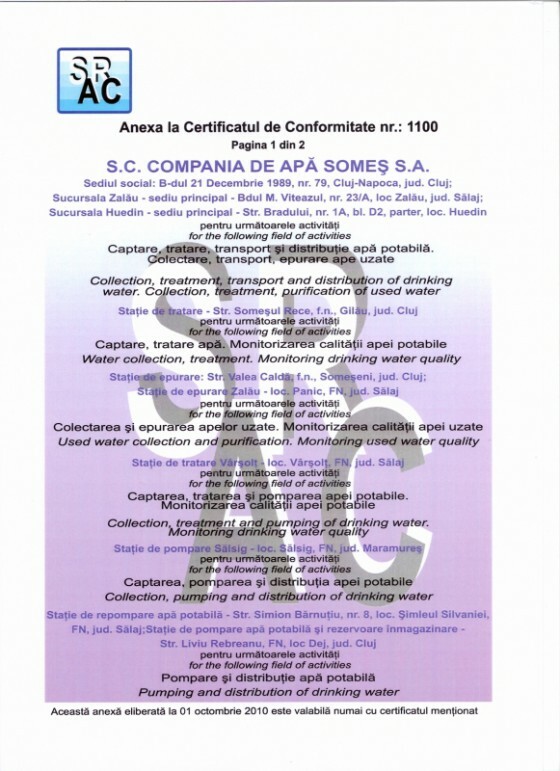 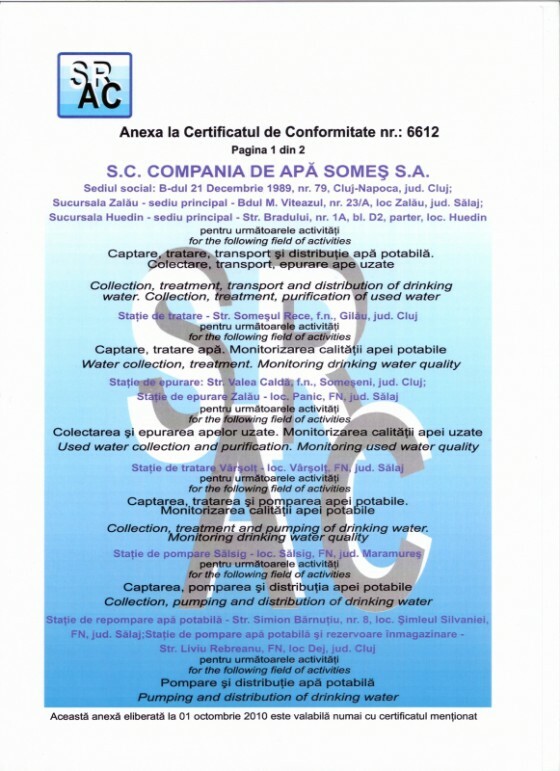 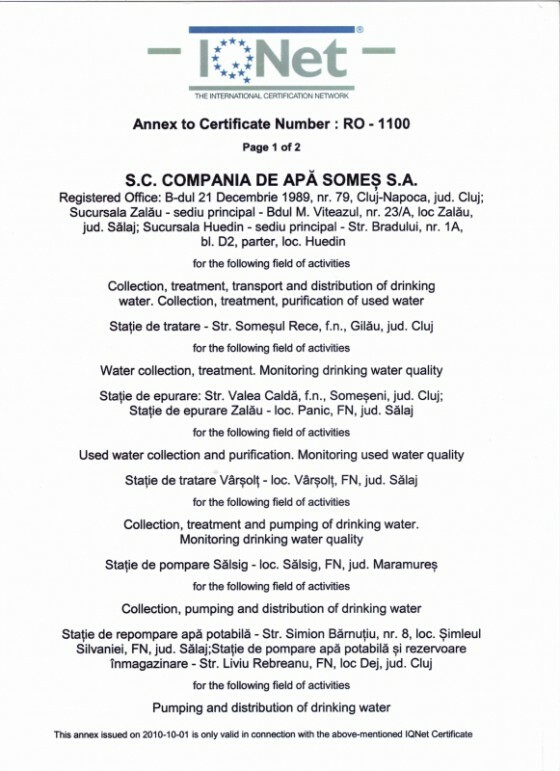 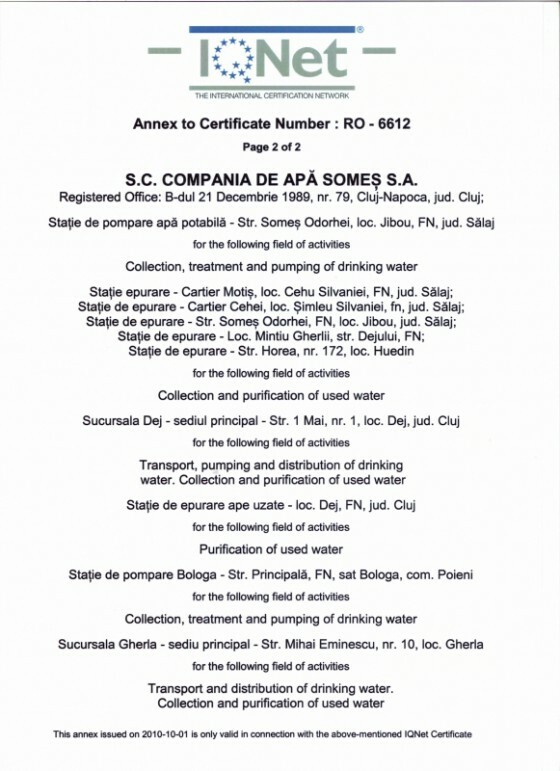 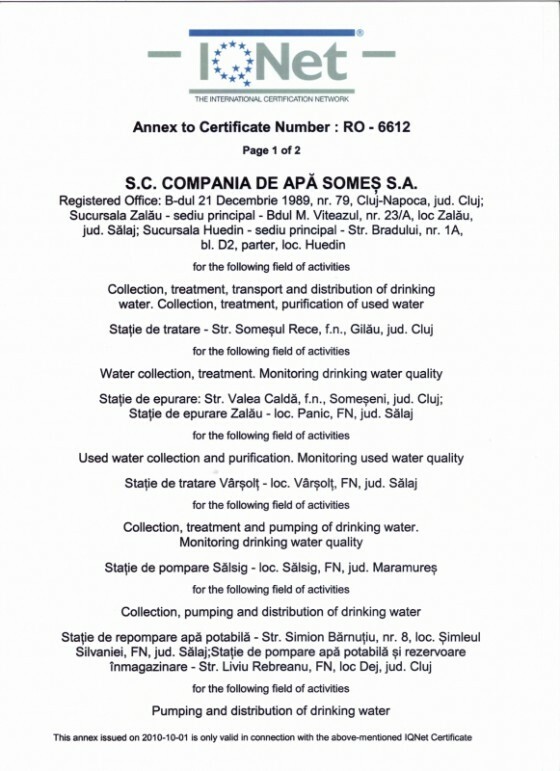 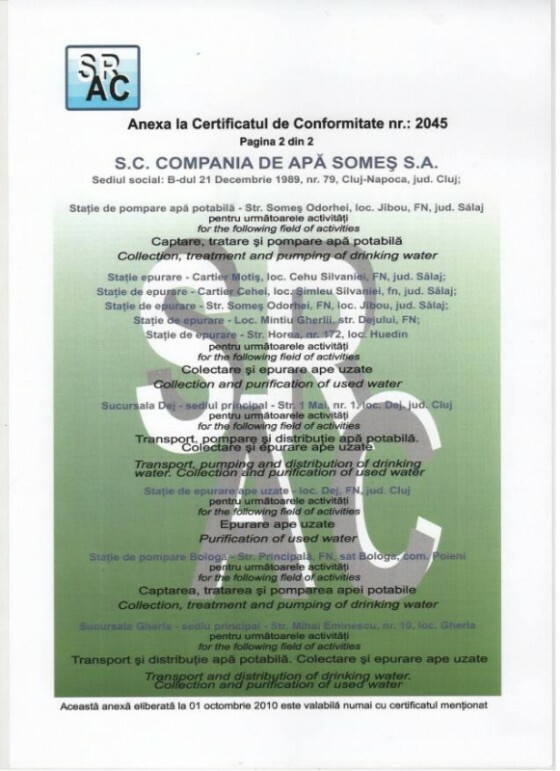 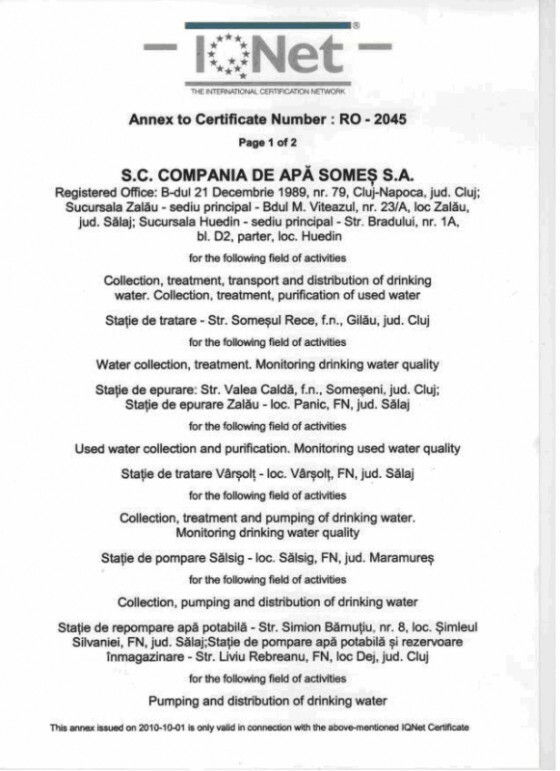 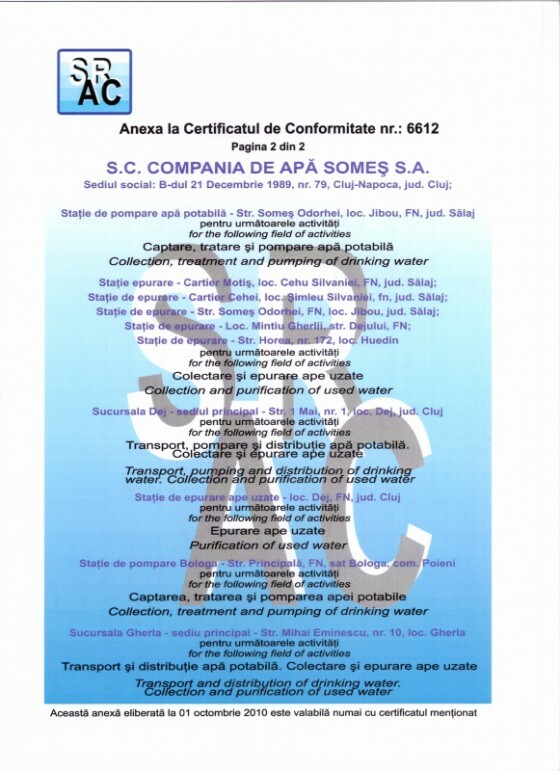 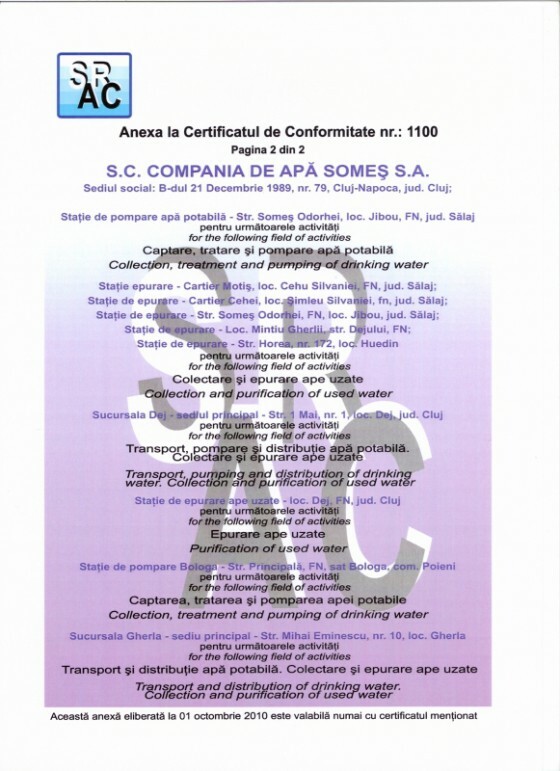 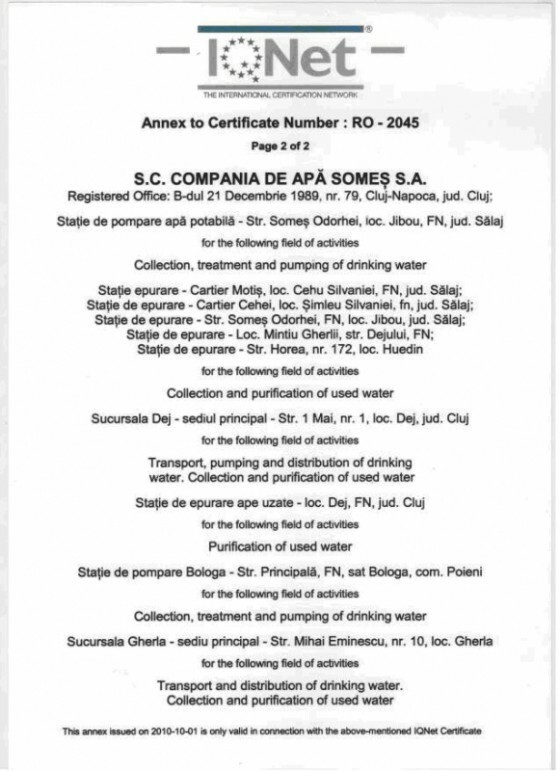 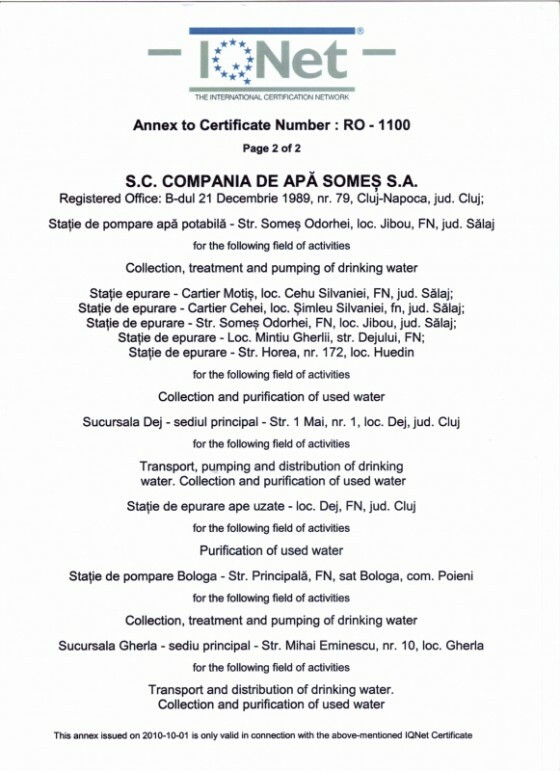 Water Company “-SOMES” etc. 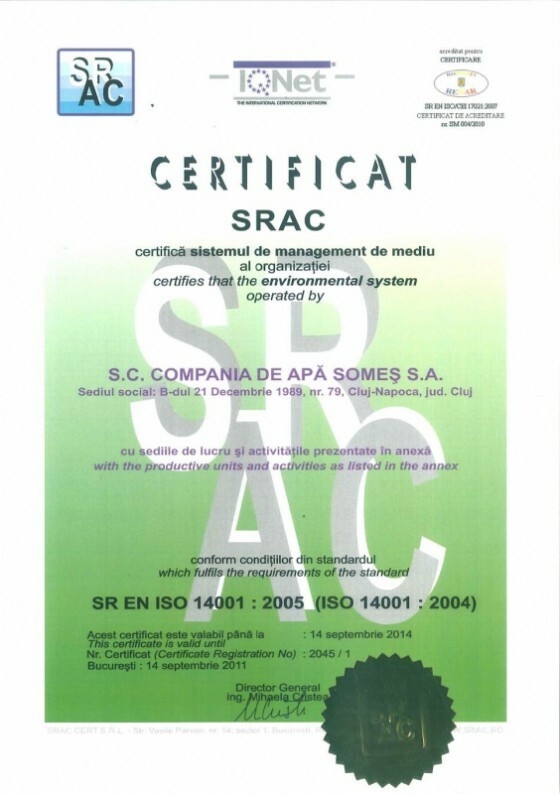 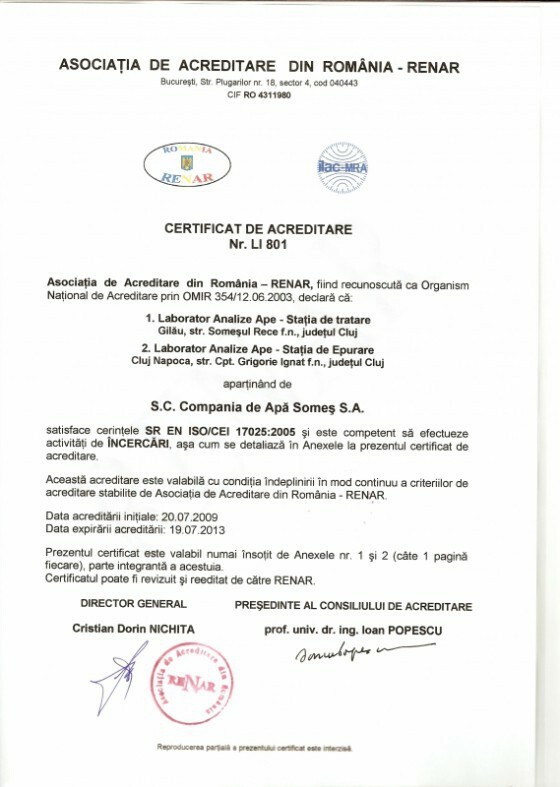 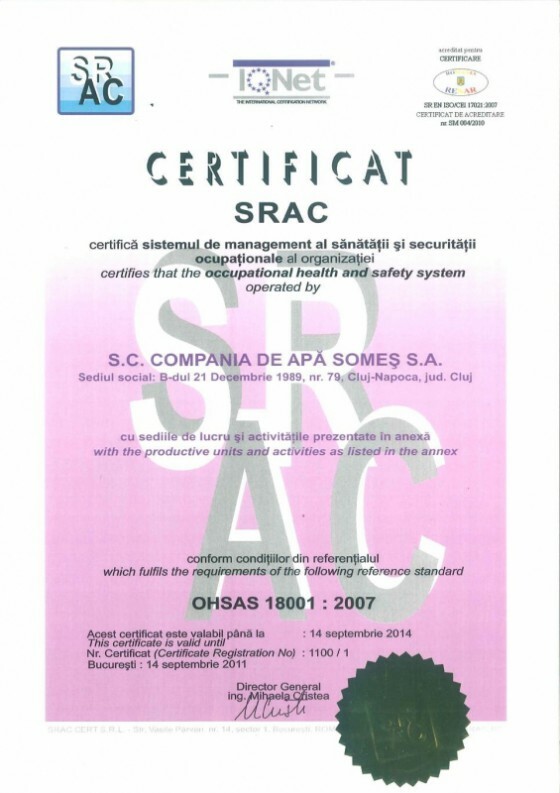 Public Services is one of the few of its kind in Romania that has certification for the entire system serviced (Cluj and Salaj), including the branches, the Integrated Management System SR EN ISO 9001 : 2008, SR EN ISO 14001 : 2005 and SR OHSAS18001/2008. 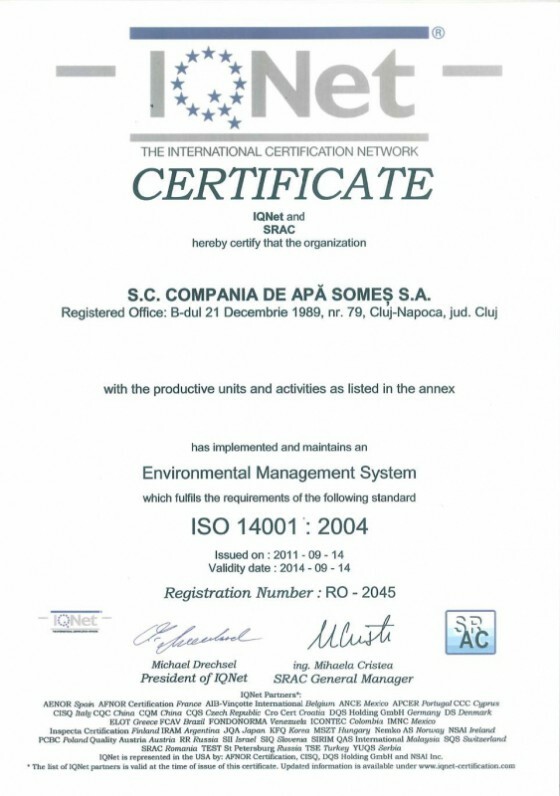 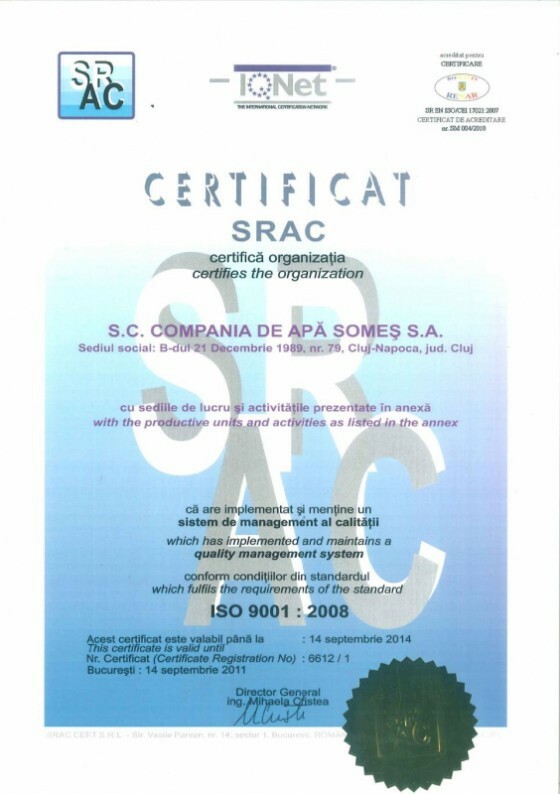 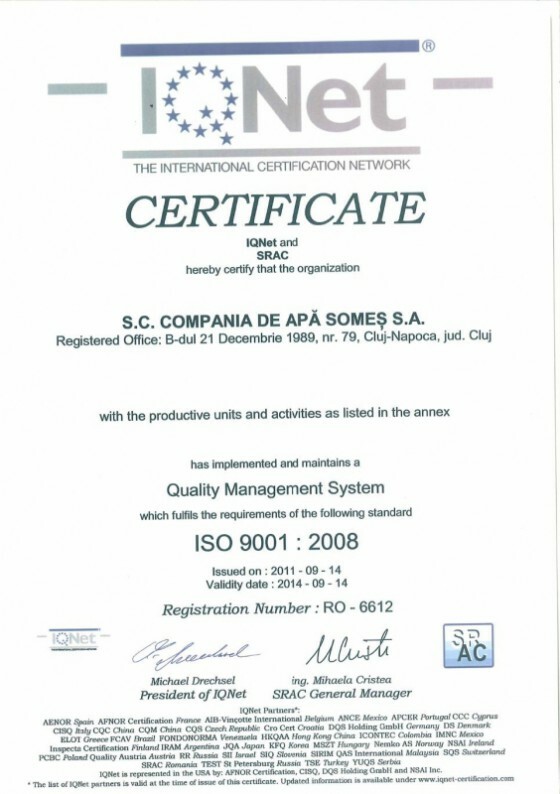 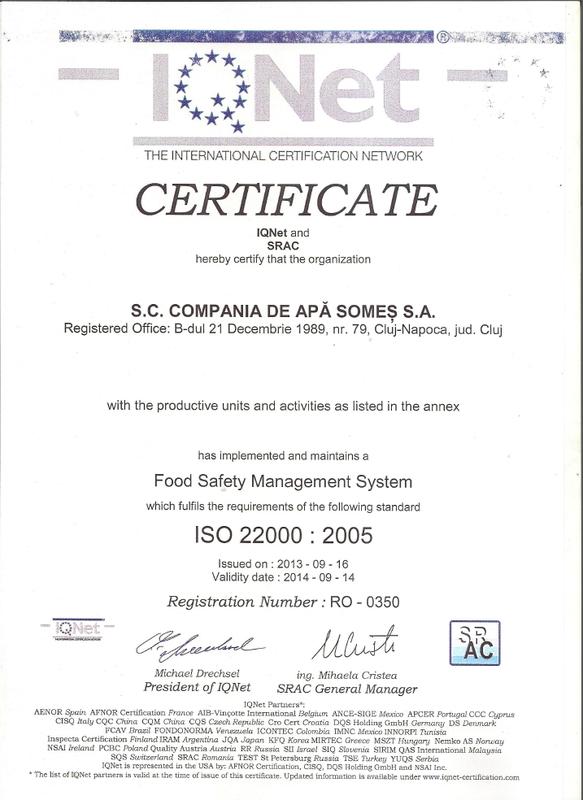 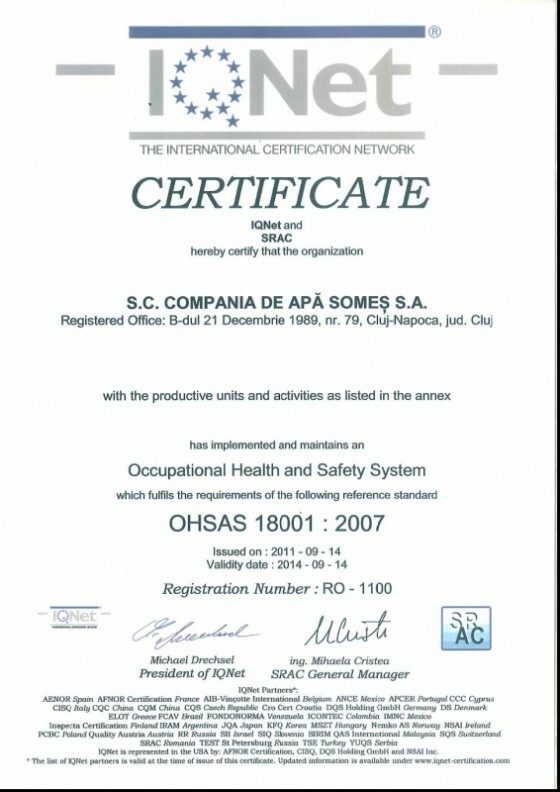 Since 2013, the company received another quality certification, and for implementing and maintaining food safety management system fulfills the requirements of the standard SR EN ISO 22000 : 2005.